Cruising down highway 218 in the southeast corner of Iowa, you could be forgiven for not noticing the blue and yellow sign just south of 140th street. We had probably gone a half-mile beyond the sign before we decided to loop around and come back to see what it was all about. 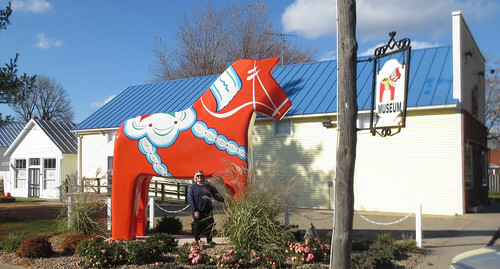 The museum was open, there were a couple of cars parked outside and there was the familiar Dala horse standing watch on the corner. Inside there was an interesting story of the numerous Swedish settlers who had come to this section of Iowa. 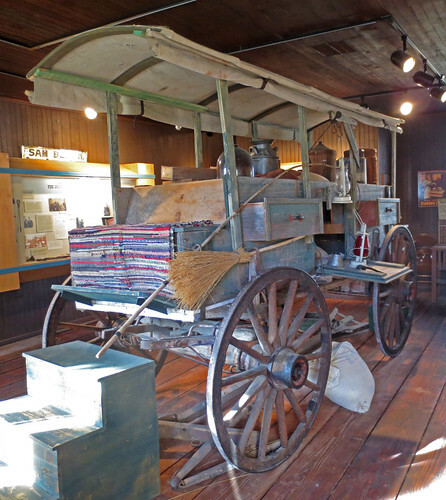 There is a small general store, a cobblers shop and a large number of artifacts from the 1870-1900 era. They have the only Huckster Wagon that I have ever seen. 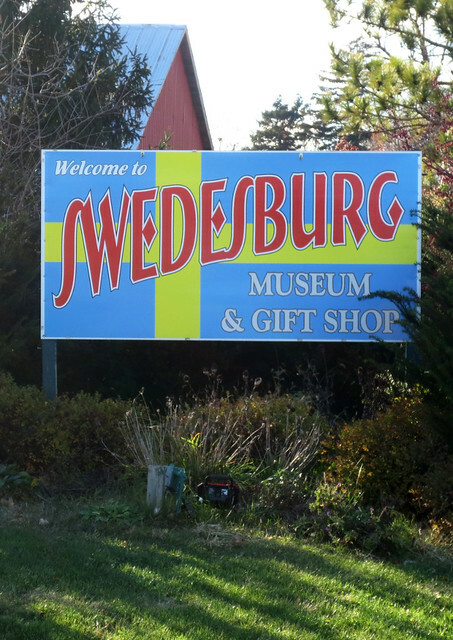 This little museum must be well-known in Sweden. 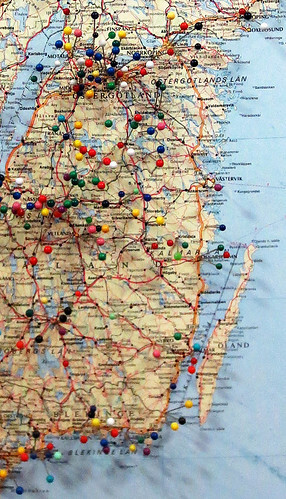 They have a map where Swedish visitors have placed a pin marking their own towns at home. 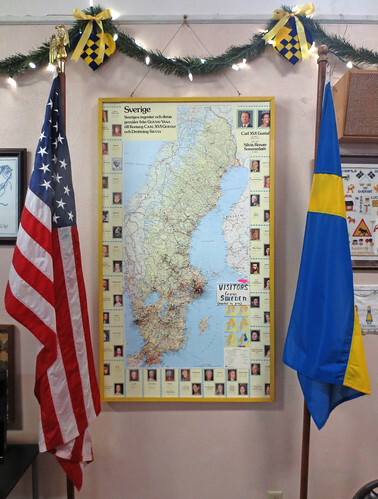 Whether you are Swedish or just Minnesotan, this makes for an interesting stop. Our only disappointment was that there was no Herring to be had along with the friendly cup of Swedish coffee. - but there is a shipment on the way.